LightShot and ScreenPresso are my favorite tool to take screenshots on the web and on my PC for perfect editing. No need to get PhotoShop tool or other editing tools. Both Lightshot and ScreenPressosurpasse WinEdit and pain on Windows. There are various ways to take screenshots on Windows and print Mac screen that you’d have probably come across. Tools like LightShot, ScreenPresso, the print screen on Windows (Sft+PrtScr) and Mac (Command + PrtScr) and snipping tool on Windows is also a good way to start thinking of the simplest way to take a screenshot on PCs. However, with the creative intent behind the “LightShot ” software that makes it looks and works like photoshop software for PC it worth using as the best software to take a screenshot on desktop and laptop computers. With the LightShot tool, you can take a screenshot on PC, edit it, added directions, section out important compartments, erase unwanted area, crop out useful section, label each compartment accordingly, and even give the screenshot a color editing without using an additional tool like Photoshop. Here in this LightShot review, you will understand the basic requirement to take a screenshot using the tool, download the tool, and how to edit and crop screenshots. However, for advanced users, a basic understanding of photoshop is key to unleash the potential in the screenshots tool. 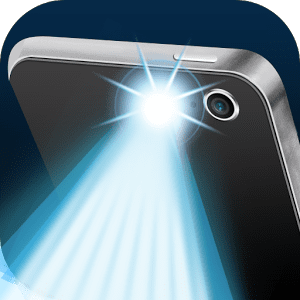 Lightshot is a product of PrntScr, a tool to upload images or photos from PC or smartphone on PrntScr webpage share to share the uploaded image link to another site. The prntscr was launched in early 2010 and since then, over 1 183 282 774 shots have been uploaded to the prntscr database with links are shared on another platform. With the prntscr web-based software you can upload images and share the link to other websites to have access to the uploaded image on the prntscr database instead of uploading the image directly to the website. The prntscr helps to ease the tension of where to upload and share image URLs online. And since the launch of the site, it has since does a good job in creating links for uploaded images to be shared on another platform. There is no basic requirement to install the PC screenshot software. A computer with a minimum of 500MB RAM can run the program smoothly without slowing down your computer performance. The program works with Windows 7 and the latter version. For Mac, you can install the LightShot software on OS X 10 beta: Kodiak, OS X 10.0: Cheetah, OS X 10.1: Puma, OS X 10.2: Jaguar, OS X 10.3 Panther (Pinot,), OS X 10.4 Tiger (Merlot), OS X 10.4.4 Tiger (Chardonnay), OS X 10.5 Leopard (Chablis) and new Mac OS version. To install the LightShot program click on the executable file and select your preferred language in the popup. You can always change the software language later. Wait for some couple of minutes for the program to finish installing. The screenshot software will not popup interface like other computer programs instead an icon will be added to your taskbar. You do not need a valid account to use LightShot software or before you can start to take screenshots with the software on your Windows or Mac. However, if you want to automatically save all your screenshot to prntscr then you need to create a valid account and log into the account so that all screenshot on from your PC with the tool will be saved to your account gallery. If you already have an account with prntscr you can use the same account to sign into LightShot otherwise you must create a new account. There are two ways to signup for a prntscr account to save all your screenshot history. You can either use Google account or Facebook. Sign up with your preferred means and create your account. After you have successfully created an account. Navigate back to the LightShot icon on your computer taskbar and right-click on the on the icon. From the pop up click on sign in and enter your login information. There three ways to take screenshots with this tool. Using a shortcut to take screenshots or right click on the icon and click on take a screenshot or double tap the software icon to pop print screen on your PC to capture either the entire screen or a select area on your PC. They are some exceptional feature in this tool that makes it stand out. Unlike most other screenshots tools with a parallel feature, this allows users to configure the tool according to individual needs. Below is a basic configuration you need to get the best out of the print screen software before you start using it. Play around the general settings, Hotkeys (where you define capture shortcut, save shortcut, and others), format (where you select your capture output as PNG or JPEG) and proxy (whether to use a proxy or not) and then click OK. If you choose the wrong language during installation you can also change the language to your official language under general option. The LightShot Chrome software is a freeware for both Windows and Mac OS to take a direct screenshot with either pressing PrtScr on your PC or click the tool icon in your taskbar. With the LightShot upload feature, all screenshots can be stored on the cloud for future use and easy access across all platforms. The LightShot for Windows is a good example. Having created your LightShot account, you can upload screenshots on LightShot and access it on Ubuntu OS. The portable screenshot tool works on all browsers including Chrome, Opera mini, UC browser, Mozilla browser etceteras. With the print screen tool shortcut, it is easier to multitask with the tool and continue doing what you are busy doing at the same time. However, the updated version of the tool comes with a handy of useful feature to be discussed later in this review. You can download a copy of the LightShot for Windows. LightShot has a new update to take screenshots directly from the web without launching the native software on your PC. This is called the LightShot extension for Chrome, OperaMini, Mozilla, and other web browsers. You can also download and install the LightShot extension on mobile browser reading through this article on how to install PC extension on a mobile browser. The lightshot extension has a good rating in the Opera download store and in the Chrome store. If you are a fan of Opera mini download LightShot plugin for Opera here and for Chrome click on this link to download. Here is a simple approach to get the best of the screenshot software for Windows, Mac, and Ubuntu. 1. Download and install LightShot for Windows and LightShot for Mac following the link provided above by clicking on the “setup-lightshot.exe” installer. 2. Launch the screenshot tool by clicking on the icon or click on the more option on your PC to the bottom right and click on the LightShot icon. 3. Highlight the area to take a screenshot and crop it to your desired result after which you only need to save a copy to your device. 4. To cancel a wrong screenshot press the “Esc” button on your phone and repeat the whole process again. Of a truth, they are some good screenshots software for PC you can think about. But, when you think about the flexibility and how easy it’s to use this tool, you will discover that LightShot offers the simplest and friendly interface to take screenshots on Windows and Mac OS. Have you used Lightshot software in the past? What do you actually like about this software? Light or not? Let have a cup of coffee in the comment section arguing it.